December | 2010 | ARChive of Contemporary Music, or "Would You Take My Mind Out for a Walk"
ARChive of Contemporary Music 2010 Year-end Roundup! it’s official: the oughts are over…. Uh, did you notice ARC’s subtle new sign outside on White Street? Yes, we now have the look of a classy taxi stand in Rio thanks to artist Steve Powers who thought our mission was swell, but our street presence a bit dull. It’s a great gift, greatly appreciated. Now on to the review. Last year we started off our end-of-the-year musings with a belief that we were finally exiting, “the second worse year of a pretty bad decade.” Well that was nothing compared with 2010 as the slow-down slowed downer. We chronicle and preserve an industry undergoing radical change that is zen-like (no objects), blind (no vision) and cost conscious (broke). We were offered fewer research jobs than usual, less ‘product’ was donated and negligible financial support from all segments of the entertainment industry. As to the greater world: small contributors all but vanished and no one in any city, state or federal government has any interest in what we do. On the other hand our larger donors and foundations generously outdid themselves this year, increasing their support. Our mission – oblivious, uncontrollable, uncritical preservation – is intact. The ARC begins it’s 25th year in Lowest Manhattan, the largest popular music collection in the world. 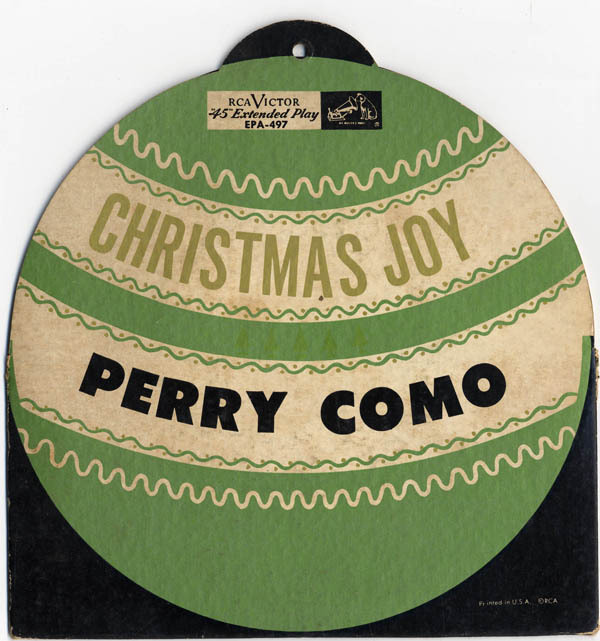 It’s December and we’ve just ended another successful Holiday Record + CD sale. 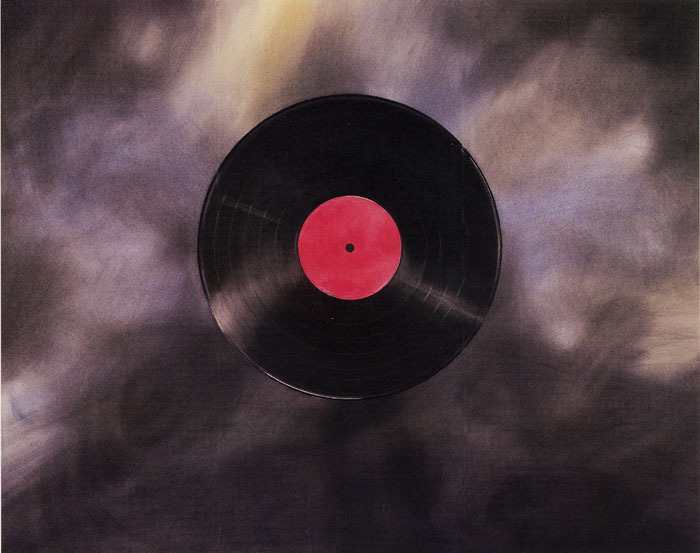 Once again vinyl is king. Our sales serve a variety of purposes; publicizing our activities, generating revenues, making space by getting rid of third copies of recordings in our collection, encouraging new donation from individuals and labels, forcing us to throw a nice party and making a lot of people very happy by offering great music at good prices. We’ve kept detailed data on our sales for over ten years now, and I think I may stop. It seems that no variable – inventory, staff, cost, publicity, promotion, war, weather, presentation, customers, signage, the economy, the pulse beat of the nation – has any effect whatever on the outcome. Go figure. Attending our sale party is just one of the perks of becoming an ARC member. Not only do you meet tons of nice folks, get food and drinks, but you get first dibs on all the best recordings. The next sale is June 11, 2011. So join the ARC and donate if you’re able. Here’s what our nifty new membership cards (taken from our original brochure, use of the image donated by artist Ed Rusha) look like – yours for the joining! Our partnership with Columbia University continues to slowly evolve as we plan more talks and projects away uptown, like the colloquium on collecting and the talk given by Greil Marcus. We also organized with Elizabeth Davis at the Music Library to purchase a wide range of Cuban CDs from local distributor Descarga. The goal is an annual, ongoing purchase to help Cuban labels survive. Our major project with Columbia remains Muslim World Music Day (MWMD) scheduled for April 12, 2011. So far hundreds of universities, libraries, archives and individuals have signed on and in January we will make a big push to enlist thousands of participants. The goals are to increase awareness of a wind range of wonderful music created with roots in the greater Islamic world, place data on all this music in a common database, freely distribute this living discography, and entertain and inform the general public about this important cultural heritage. Modest, eh? 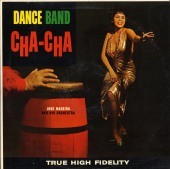 But it should be fun and lead to other “World Music Days” in the future, perhaps Cuba in 2012. Thanks to our man in Amman, Kareem Talhouni for all his help. Designing the MWMD database is Scott San Filippo. Gracenote has provided funding and tech help, and the Internet ARChive will host the whole shebang online from San Francisco. A San Fran connection seems to grow stronger and stronger from our POV. (Remember when NYC was creative? Interested? Interesting?). New partnerships are being forged, and we have hopes of a West Coast office. Beside the great folks, food, Arhoolie Records/Down Home Music and redwood trails I also saw a very nice exhibit, “Somethin’s Happening Here – Bay Area Rock ‘n’ Roll 1963-73” at the Museum of Performance and Design, co-curated by ARC pal Alec Palao. Alec graciously donated a copy of the book he put together for the show and 4 CD set chronicling the scene. Read more about our Barbary Coastal adventures here. With the trip to SF I violated the prime directive, “Never Go West.” So it was easy visiting Cleveland’s Rock’n’Roll Hall of Fame. The highlight was the Springsteen exhibit, and seeing all the handbills, fliers and promo activities it took to get his early band, The Castiles, off the ground. I also visited Andy Leach, the Director of the Rock’s Library and Archive, at their new 22,500-square-foot facility housed at Cuyahoga Community College, set to open in May 2011. (Columbia! Hello!!! 22,500 sq ft. Funded by a community college!). Then it was south to see the impressive Music Library and Sound Recordings Archives at Bowling Green State University and meet with director Bill Schurk. Closer to home I attended the International Association of Sound and Audiovisual Archives (IASA) conference in Philadelphia. ARC presented a talk last year in Athens and this year we helped them a bit with publicity. This confab brings together both the technical and physical sides of preservation, and as I always say, where else can you learn about the 600 recorded versions of “Waltzing Matilda” AND how to detect digital audio Interstitial errors? Musing on occupying spaces in-between, there’s always Paris. Over there we have a full time champion in Jean Claude Ast, an industry insider who is tramping the corporate and bureaucratic halls of every arrondissement in search of an ARC d’France outpost. The blog-o-sphere has become increasingly important to us this year and we made an effort to launch a new story every three days or so. Hey, for us that’s a lot. We always try and combine some facts with the fiction in our blogs, usually some far fetched observation coupled with a pile of great covers, reminiscences, news, history or discography based on our collection. We also learned about Link baiting, a great new phrase for the latest phase of lowly practice. You see, if you add “Lady Gaga” to a post (and we did, only when it made sense of course) it dramatically upped the number of hits. Vacuous trumps vicarious every time. 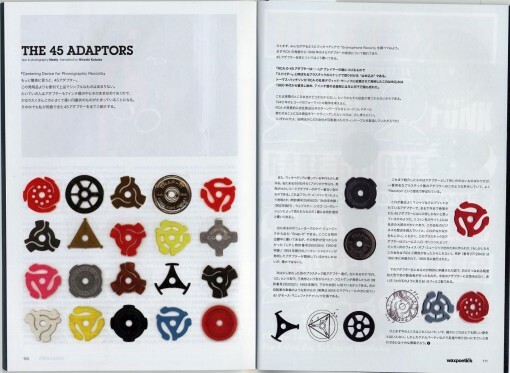 Our blog on the lowly 45 insert, written by Dan Neely and slightly edited by B, was published in the Japanese edition of Wax Poetics in October. Thanks to Masashi Funatsu and Ken Hidaka. Study the image of each 45 insert carefully, and send along any you have that are impressively different. We’re an archive you know, saving minutia so you don’t have to…. 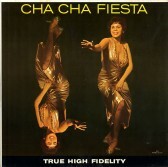 We also posted too many of our favorite Cha Cha Cha covers from our collection of over 300. Worth a look. Last year we began a focus on a few forms of music not well represented in American collections. Brazilian music continues to be the major focus. Helping us in this task are Beco Dranoff (film: Beyond Ipanema), Joel Olveira (runs the NY Brazilian record outlet, Tropicallia in Furs), David Byrne (collector, artist), Jerry Rappaport (ex record exec) and Allan Bastos (collector). Beco and B will vist the big B in May to speak with sister institutions, scholars and collectors. To date our Brazilian holdings number over 6,000 recordings and growing. As always, through the generous support of Mr. Richards and the great folks over at Raindrop Services for over a decade now, the Keith Richards’ Blues Collection is one of our greatest assets. Thanks to Eric Courson, Candice Dorsey, Jennifer Ballantyne and Sarah @ EMI (762 CDs), Jason Flom @ Virgin Records America (473 CD singles), Kevin Yatarola at Palm Entertainment (36 DVDs, 30 CDs), Keith Masio at Radical Records (33 CDs), Stephanie Bauman at Nonesuch Records (93 CDs), Steve Knutson @ Rough Trade (38 CDs, plus singles + LPs), Other Music (over 2100 CDs), Craig Kallman at Atlantic Records (35 CDs), Gabby Gibb at Sony BMG Legacy (76 DVDs), Mark Beaven and Andrew Kipnes at Advanced Alternative Media (over 3500 recordings), Adam Farber at Legacy (21 CDs, 10 DVDs), Ken Richardson over at Sound and Vision ( 29 DVDs, 106 CDs), Mark Fotiadas @ Mute (469 CDs), Steve Bartels at Island Def Jam (1428 CDs / 10 DVDs), Jon Hafter (2 big boxes including 192 CDs), Dan Storper, Jeremy Boyce and all the folks over at Putyamayo (50 CDs), the mercilessly, unjustly persecuted Limewire (301 CDs) thanks Tom!, Tina Pelikan and Helen Demoz at UMG (430 CDs), Jason Melker and T. Simpson (300 CDs), David and Yale at Luaka Bop (90 Cds), Electric Cowbell Records (11 Cds) and the 25 CD reissues of Fela Kuti recordings thanks to Factory Records. Lets not forget Nate Oberstein over at Eagle Rock Entertainment, who not only makes sure we get every new concert release DVD and CD, but makes sure we have plenty of ‘secular’ material for our sale (2135 DVDs + 153 CDs). Our most important, and largest acquisition this year was donated by Michelle Gelber, lovingly collected by her late husband Eric Schmuckler. This group contains over 10,000 LPs and 5,000 CDs, all in pristine condition. Eric was a well known critic and writer for Mediaweek Magazine, and truly loved his music. You can read a nice obit here. 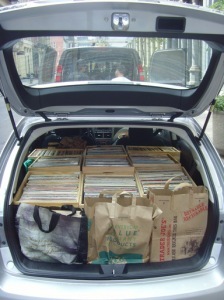 Behold: the mighty Subaru Impreza canhold ten boxes of 125 LPs without sagging. 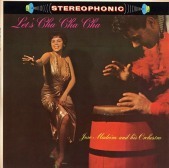 Old pal and venerable collector AP Joseph continues to amaze us with his donation of LPs. For years now AP has slowly been emptying his larder into ours – mostly rock, mostly mint and a little less mainstream than Eric’s. A quick look reveals a pile of CRI releases, early Fast Folk – The Musical Magazine recordings plus print mag when they were called “the Coop” in the early ‘80s, and an unusual pair of Jorma Kaukonen acoustic recordings on Relix from the mid-eighties. Thanks for the thousands AP! The Teitelbaum family, formerly our neighbors at 54 White St were formally on the move, but before they left donated books, CDs and rooms full of household goods and electronics. Moving digs continues to be a great impetus for donating materials. Leida Snow, beyond the hundreds of CDs, LPs and books she donated, gave ARC an extraordinary run of Playbill Magazines. As this was mostly theater material, we passed it along to Michael Feinstein, who will make it a part of the reference collection being set up by his Foundation. Ben Young up at Columbia University Radio’s WKCR, schlepped down three loads o’ goodies this year (1087 CDs, 29LPs). From a-way upstate came a musty but great pile (787 LPs) from the barn of James Dybas. Of note are the eleven LPs by Olga Guillot, Cuba’s “Reina del bolero” and the first Latin artist to play Carnegie Hall. Annual, perennial and millennial serial donors include; Nancy Breslow, Peter Kapp (208 CDs, 179 LPs), Bruce Alexander, Sara Lazin books (97 books), Andy Cohen (32 CDs), Cory Robbins, B-Bop (375 LPs), Tom Gould of the Bossa Nova Beatniks, Marcos Sueiro Bal, Dan Morgenstern over at the Institute of Jazz Studies at Rutgers, Billy Adler, the mysterious Herb Jue, Lily Gim, Andy Schwartz (who lucky for us was moving this year and brought in a steady stream of wonderful books, magazines and recordings), Fred Shapiro (1228 CDs, 96 DVDs), E.J. Vaughn, Janice Everett, our very own Fred Patterson, Kevin Lanagan (sheetmusic), Ray Farrell (18 books), Marsha Elliott (69 CDs, 11 books), Anne Leighton (hundred of mags + press kits), Tom Burgess (odd + mysterious LPs + audio playback rarities), Eric Zim, Ida S. Langsam at ISL Public Relations (330 CDs), Brian Gerosa at Gerosa Records in CT (390 CDs), Marc Mueller (11CDs/11DVDs + books), Robert Singerman (462 CDs, 211 LPs, 200 CS, plus…), Jim Leavitt and Anita Contini, DJ Ray Velasquez (83 CD singles), Andre and the good folks at Wax Poetics (64 magazines + 349 CDs), Jeff Friedman @ Let There Be Neon (1560 LPs), Michael Overn (43 videos), Kenny Margolis, Dave Withers (25 LPs and assorted singles), Kate + Emma + Bobby Haber at CMJ (1080 CDs) and Gene Gritzen (80 Lazer discs) and old pal of Freddie’s from Paris, Philippe Mogane who dropped of some of his Siamese Dogs Releases. Some donation just make us smile. Daily News critic David Hinckley has regularly donated a carload of press kits, books and recordings, twice a year, for some 12 years now. This year was no exception, the donation of hundreds of CDs only lessened by the fact that the industry sends out so few promo copies these days. Our favorite treat from his bag of goodies was this Rhino DVD release chronicling the hits of teen sensation Pat Boone, the packaging successfully linking white pop, white pap, white bucks and white bread. Two of our Boardmembers continue to make mighty fine vinyl contributions above and beyond their monetary support – Nile Rogers, with the help of Sooze over at Nile Rodgers Entertainment + Sumptin Distribution, gave 90 CDS, while Fred Schneider sent some signed B-52 LPs along with his regular assortment of hundreds of vintage, peculiar and rare discs. Michael Feinstein also sent along a few nice things. Rounding out our donor list is Dean Taucher has used his clout over at CBS TV to ambush stars visiting various sets and get them to sign records for the ARC. This year it was a babe triumvirate of signed LPs by Ann Margaret, Sharon Stone and Isabelle Huppert. As Jerry Lewis usta say, “Thanks Dean.” (he got one signed by Jerry for us last year). There were countless donations by many others of 1 to 20 items. I’m sure we overlooked some supporters, so please let us know if we did. The goal is to give everyone a receipt. All in all approximately. 80,000 new recordings were added to the collection this year. Lastly our Man of the Year in 2010 is Peter Wright at Virtual Label LLC. Peter is a long-time supporter of the ARC’s mission who has helped us often, in innumerable ways, over many years. 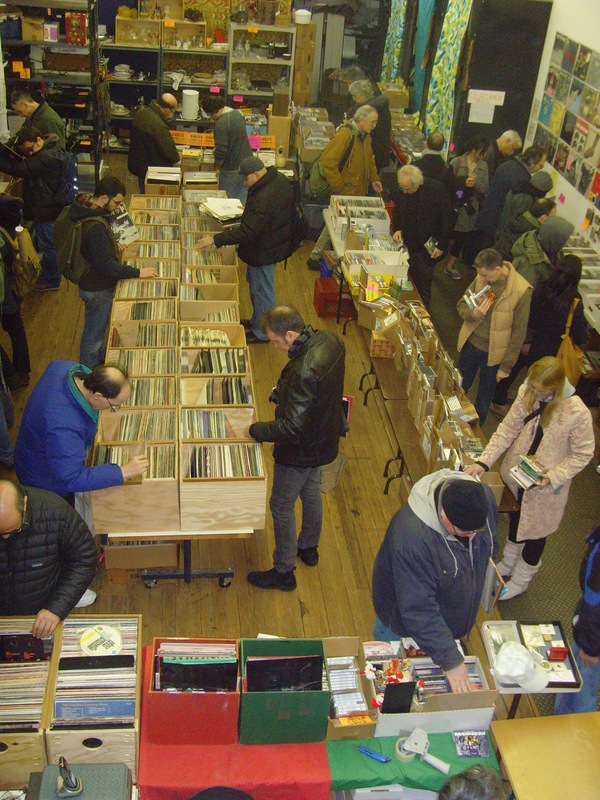 But this year he even outdid himself, by donating over 600 great CDs, purchasing a corporate membership and purposely overpaying for a cache of rare vinyl at our Winter sale. Thanks Peter. Michael Feinstein joined our prestigious Board of Advisors in 2010. Michael is a champion of the American Songbook, a singer, pianist, musical historian and longtime archivist for Ira Gershwin. It’s been great fun having him down here for visits and going through recordings, hearing first hand stories about many of the artists. Michael’s passion for preservation has led him to building an institution in the mid-west to preserve American popular music. We’ve been helping in this great effort and arranged the donation of playbills. The good news is that no one on our Boards died this year. Sadly a great many old friends did pass on, like long time supporter Jerry Bock. (Jerrold Lewis Bock, 11/ 23/1928 – 11/3/2010). Back in 1999 Jerry donated his personal collection of over 9,000 Broadway and original cast albums. Another friend sorely missed is Charlie Gillet (2/20/1942 – 3/17/2010). I first met Charlie in the 80s, when I fell in love with some of the wonderful recordings he compiled for his Oval Records label in the UK. His 1970 book, “Sound of the City,” remains an important work. Over the years I did a few quests stints on his show for Capitol Radio, and recently was a regular listener to his online BBC shows on World Music. Then there’s Solomon Burke, Ari Up of the Slits, Malcolm McLaren, Dave Noland, Arrow… so many. We’ll do a full write up for the blog in January on musicians and music lovers who are no longer with us. Very much alive Fred Patterson continues to garden the ARChive’s collection, planting (making sure that every new recording that enters the ARC is catalogued properly) and pruning (compared to the existing collection for variations). Juan Amaya was part-time staff this year. Keith Streng of the Fleshtones continues to be our go-to guy when we need a major pick-up. Another constant is the great people who donate time, materials and services to help make our sales a success. Once again Mike Nabors of Bonnie’s Grill in Brooklyn offered beer, hot wings, and this last sale sliders for our Holiday party. Likewise Emanuelle Chiche, and the good folks @ Bubble Lounge, provided wine and champagne. Some very fine wines for major ARC donors were sent down by Robert Vizet (that’s B-Bop to you) and Royal Wine Merchants in Lower Manhattan. Volunteers are the mysteriously generous lot who keep this place humming : Tim Broun, Henry Beer, Patrice George, Jon Hammer, Jessica Thompson, Tom Watkiss, and Joe Flynn. Henry Moskowitz, who was once on a tour group from Carleton College a while back, also lent a helping hand. Less mysterious, but just as essential are our interns: Arianna Avena, Allison Johnelle Boron, Shelia Byers, Catie Ginsburg, Carolyne Klein and Phillip Meyer. There were two formal intern programs contributing their efforts to help catalog and work on projects at the ARC in 2010 : Alternative Spring Break via the University of Michigan and Columbia Universities Center for Career Education. Thanks to Kelly A. Kowatch, Assistant Director, U of M School of Information, Career Development Office for sending along Rob Hoffman, Steve Cherry, Jessica Leigh Hanes and Katherine Jo, Associate Director, Experiential Education and Student Enterprises, Center for Career Education, Columbia and the Arts Initiative who sponsored Annie Minoff, Amar Teredesai and Elizabeth Angell. The clean-out crew this year- the great folks who buy everything that’s left after our sale – include vendors Gene and Steve Gritzan, Fred Shapiro, Jamal from Village Music World and Allan, our latest and greatest buyer from Brazil. Blasts from the past who visited this year included Annie Davey, an intern from 1997. She’s got a band, Lark, and presents art and music shows in the UK. Former archivist Jon Hafter once again made his annual visit from CA where he runs a film licensing concern, Big Sounds International. First time in a long time we were happy to see one of our earliest archivists, Sara Prown. Sara worked at our original location on Chambers St. in 1986, and went on to became a real librarian at Yale. Look for an influx of bright young interns from Bennington, Pratt and Columbia in 2011. Big thanks to all. Scans of labels and covers art continue to be the ARC’s most requested work. There were fewer major research projects in 2010 – no gigantic jobs like last year’s two thousand scans for the Grammy Hall of Fame. We pretty sure it’s the recession and dwindling need for quality imagery, or the truth, and not our services. There were the many, everyday scans and audio research projects for the industry, and some interesting ones like for Emergency Records, Sample Clearance (locating Mr. Leon Sylvers III), scans of a rare 10” Slayer LP for Sony, locating LPs for Oprah Magazine (including one by Peggy Lipton), a rush on a high rez scan of Abbey Road for Bloomberg News and locating Mickey Newbury’s “Looks Like Rain” for Jessica over at the Magic Shop. We hosted a few academic events and workshops in our White street space this year. In February there was a talk on the Jazz Loft Project by Sam Stephenson from Duke University, revolving around the work of W. Eugene Smith, in conjunction with the publication of Sam’s book and a NY gallery show. Also speaking was Christopher Lacinak of AudioVisual Preservation Solutions. It was organized by Dave Noland, one of the great folks we lost this year. Our space hosted two Scandinavian fiddle related events this year, a NY Spelmanslag rehearsal and a fiddle workshop by Ellik Frissel who taught a class in Swedish tunes from Dalarna. ARC is a great empty space when the sale is not in progress and we are looking to offer it to others a great deal more in 2011. ARC was the subject of one short film by Goldmine Magazine and filmmaker Michael Cumella who have been documenting great collections. We are also featured in an Italian documentary on collecting and crate-digging by Paolo Campana titled, Vynlemania. As usual, both the BBC (Radio 4) and MTV did a shoot or two here this year, using our lovely space as a backdrop. Apple stock may be rising, but not in our book. This year we had many a new item bite the dust before it’s due date, like an iMac, and a big screen monitor. Not to mention the logic board on our main computer dying in early December, right before our sale. On the good side are the good forks at Tekserve and Andrea Suarez who donated a shinny used 17” PowerBook. One sinister preoccupation this year was dealing with the NY State. 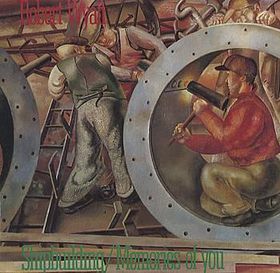 For some reason Workman’s Compensation equated the work we do here at the ARC – cataloging recordings and filing papers – with operating heavy machinery, harvesting cotton, or maybe shipbuilding (as in the Robert Wyatt cover above) and imposed a $177,000 fine! It took six months and valiant efforts by Boardmember Alan Bernstein, and the offices of State Assemblyperson Deborah J. Glick and State Senator Daniel L. Squadron to straighten things out. This from a State that admits to spending $277,000 annually on housing one juvenile offender in upstate facilities! Honest, I promise to follow up with some IDEAS about what happened and things that piqued our curiosity (Benford’s Law, Ghengis Khan, Diderot’s creation of the Creative Commons) in 2010. But for now all the facts, above, are quite enough to muddle through and get out in a timely manner. Everyone who sent materials or a monetary contribution should expect to get a notice by e- or ordinary mail by the end of January. Again, You can make a donation these days through Paypal or via the ARC website, <www.arcmusic.org>. If you can help out with materials or make your donation, please let us know. Lastly, no, I mean it, we have to thank the Jaharis Family Foundation for their generous support of many years. 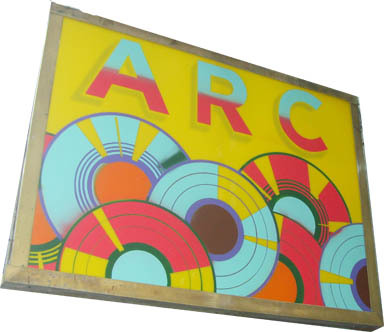 ARC is a not-for-profit archive, music library and research center located in New York City. The ARChive collects preserves and provides information on the popular music of all cultures throughout the world. Since 1985 our holdings have grown to two million sound recordings, making the ARChive the largest popular music collection in the World. The sale is still going strong, but bad weather and the bad economy, are not our friends. But YOU can befriend us anytime by coming down and shopping at our Holiday Record + CD Sale! NOW through Dec 19, everyday 11-6pm. Just arrived – new for this year – Live at the Barbican Theatre 2006 by Os Mutantes – CD donated by Luaka Bop – David Byrne’s label Help support the ARChive – a not-for-profit music library – America’s largest and BEST popular music collection. YOU could also donate recordings and materials to the collection – we take any music or music related materials – LPs, CDs, books, posters, etc. We’re still hugging the ground floor @ 54 White St. 3 short blocks south of Canal, between Broadway & Church in Tribeca. Take the 1 train to Franklin, or any train to Canal. CDs are NEW donations from record companies, NOT used, returns or defects! Mostly pop and rock recordings. Collectible LPs are priced below book value. Hundreds of CDs are priced at $1 to $5 each. Cassettes + Classical LPs – 2 for $1.00 Just released NEW & HOT CDs are $5 – $10. One of our neighbors moved – and they were food stylists, so TONS of high end and junky kitchenware was donated to the Astroturf Yardsale of 50s kitchen stuff and clothing!!! Tell Your friends = face, tweet, link + blog us. You can now join the ARC online – members attend two parties here every year at the ARC and get first choice for all items at our sales.